I caught these 2 white clouds displaying. Fuzzy but almost as one. I think that they feel better than you think. I hope they do, they are the only 2 left here, no females to impress. I have 3 females in another tank, my healthiest, so I'm on the fence about moving them here, or vice versa. I did luck out on the picture, almost perfectly aligned. Thank you, that camera has problems, but the picture was timed well by them. We currently have a problem with white clouds, all the local fish shops sell them as feeders. Sorry state of affairs. 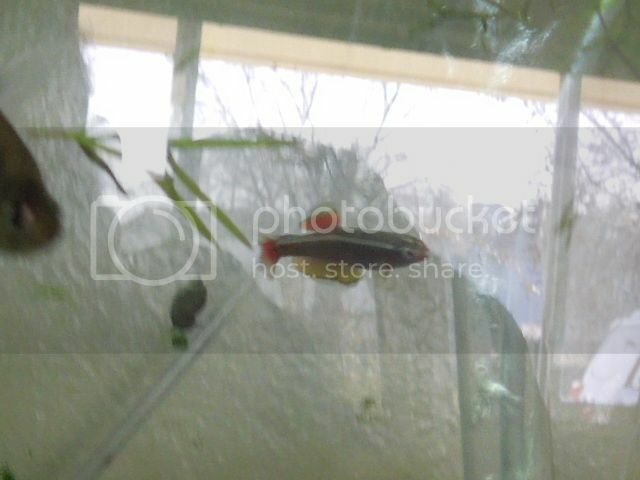 Always wonder how people take perfect pictures of fish, they always seem to move and the wrong time lol. Always wondered the same! At least the fish here were in the correct posture at the right time, regardless of my skill and equipment. Have a nice video of these, a favorite fish, really sparring but it won't load. Oh well.